Select a contact from the contact list. Click 'New Note' from the top ribbon toolbar. The Notes window will now appear. Enter a Subject for the note. Here is another way to create a new note for a contact. 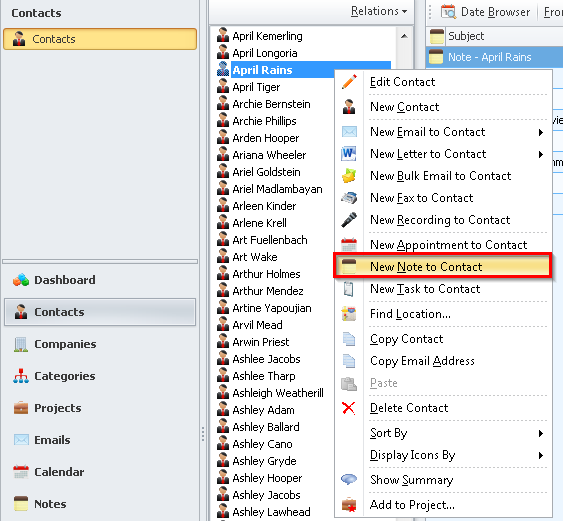 Again, select 'Contacts' from the left navigation menu. Right click the contact that you would like to add a new note to. 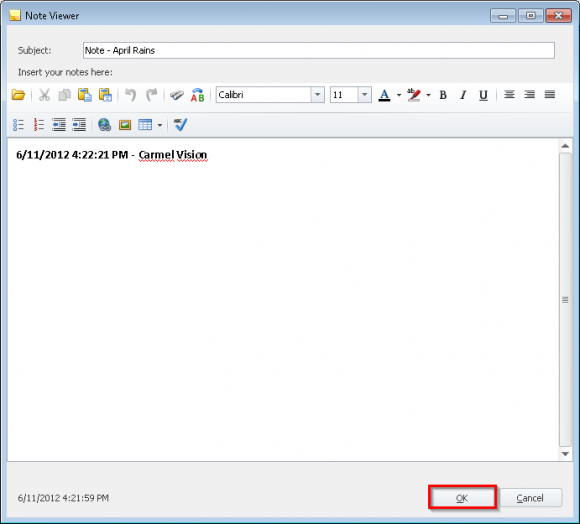 To see a video demonstration of this feature, please visit How do I Create a New Note for a Contact?.